The Companions are back in this first volume, which features an untold story from the War of the Lance. The beloved heroes return: Tanis, Raistlin and Caramon, Sturm Brightblade, Tasslehoff, and Flint Fireforge. Old friends, such as Riverwind and Goldmoon and Laurana, travel with them. Old enemies are here too, as the companions encounter new adventures and new dangers in the very beginning months of the War of the Lance. This book starts with the celebration of a wedding. The companions believe they have slain the evil Dragon Highlord Verminaard. They have rescued the refugees from Pax Tharkas and taken them to a valley in the Kharolis mountains. 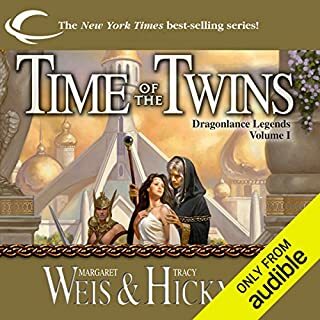 After they are attacked by the Dragon Armies, Tanis and Flint are sent to search for the long lost dwarven kingdom of Thorbardin, hoping to persuade the dwarves to give the refugees shelter for winter. Each of the other companions face their own trials. Raistlin remembers that, according to tales of old, the key to Thorbardin lies in the haunted fortress known as Skullcap. The others want nothing to do with this accursed place, but Raistlin feels strangely drawn to the ruins, and he persuades a reluctant Caramon to accompany him there. Sturm becomes obsessed with finding the legendary Hammer of Kharas, and his obsession nearly plunges the party into disaster. Riverwind, now chieftain of his tribe, is made the reluctant leader of the refugees and worries that he is not suited for the task. Tika Waylan must decide if she has the courage to undertake a perilous journey to save those she loves from certain death, while Tanis Half-Elven wrestles with his faith in the newly returned gods. But it is the dwarf, Flint Fireforge, who faces the most crucial test. Get Lost: listen to more of the Lost Chronicles. I think the story is good, but the reading, especially Tasslehoff's voice is very strange. His voice is supposed to be high, and quick, the reader makes him sound like a sick frog. Loved the book. Loathed the narrator. The book was great! Loved being able to fill in the gaps between the first two Chronicles books. The narrator was awful. Her character voices were deplorable and her pronunciations were very American-ized. Agonizing. Should have used Paul Boehmer again. What aspect of Sandra Burr’s performance would you have changed? The book is a great piece of back story , handled well by the original authors , however the voice actor made several important characters feel rather buffoonish with her inflections and mispronunciations. Maybe. story = perfect . . . narrator = not great and what did she do to poor Tas's voice! Just Not Right. - Mostly it is how she does Tas - it drives me nuts. Why make him sound that annoying? I just love these characters! 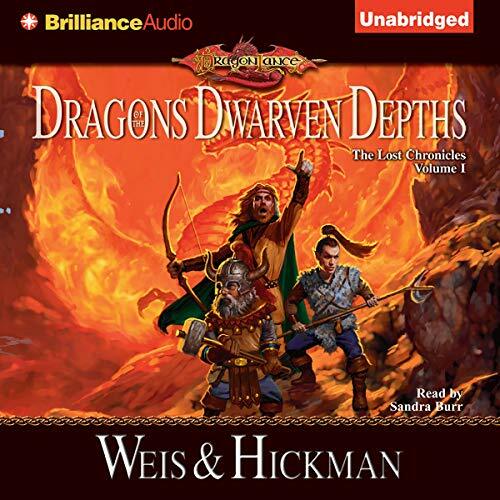 Would you listen to Dragons of the Dwarven Depths again? Why? 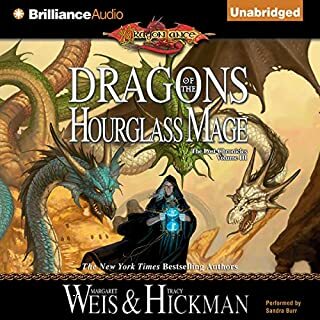 I really enjoy revisiting the characters from the Hickman/Weis Dragonlance series. I have played D&D since the 2nd addition was out. This reminds me of all those great and wonderful gaming days with my friends. I've always liked Fantasy novels and especially ones about D&D. 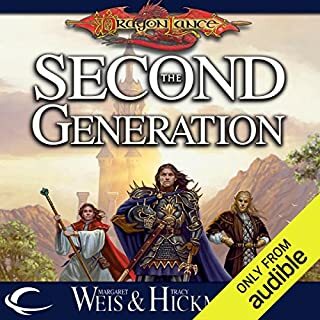 This story doesn't disappoint, It's not my favorite D&D novel, but I like the characters especially Tanis, Flynt, and Caramon. If you like D&D novels or sword and sorcery fantasy I would suggest you read this. Dragons of Dwarven depths gives you plenty of action, magic and character interaction. What three words best describe Sandra Burr’s voice? Her narration was good, she does a good job of creating different voices for the characters and sticking to them with only a few lapses in voice or accent. But overall the audio book is well read and fast paced. My favorite parts happen between Sturm, Caramon, and Raistlyn in Skullcap, and between Flynt and Tasslehoff throughout the book. This is a great adventure. 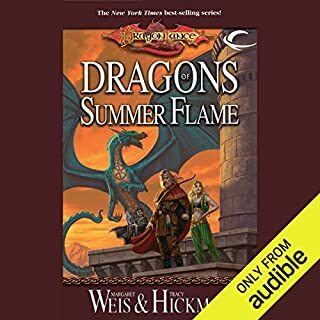 This is not really a book for you if you don't like fantasy, or high magic.However if you do and you want something to listen to while driving, riding to work/ school, or working pick up this book. I loved these books in high school, some 25 years ago. Catching up with Tass and Tanis and the gang again was like a homecoming for me. So maybe my love of this book is colored by nostalgia. Still, it was the great adventure romp now that it was then. Sure, it's light reading that just makes you smile. But that's what I want from AD&D books. Tass' voice took some getting used to, but that could just be because it didn't match the one in my head when I first met him a quarter a century ago. This is a GREAT BOOK. 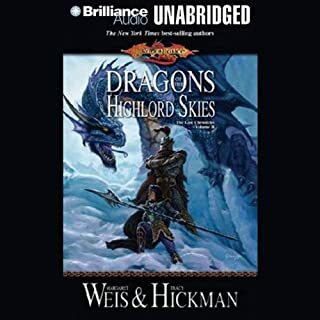 Weis and Hickman have done it again. I didn't want to stop listening. I just have one Question, Why hasn't Hollywood Picked up the Companions. 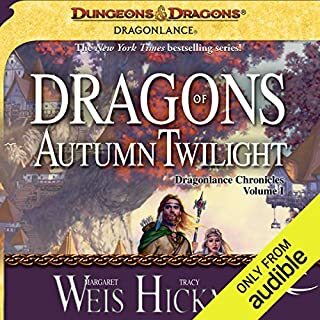 I've read all of the Compainons books from the Meeting to The Drangon Lance Wars. They just keep getting better!!!!!!!! !